Microsoft went big on pushing cloud services this week at its Build conference, but today it was dealt a blow for how it might get to market them in Europe. BSkyB, the pay-TV broadcaster partly owned by News Corp., won a judgement in the England and Wales High Court against the U.S. software giant for infringing the “Sky” trademark. The next step is another hearing in which the presiding judge, Justice Sarah Asplin, will hear arguments for an appeal from Microsoft, as well as decide on what remedies may be applied. Those remedies in past trademark cases have typically included financial compensation, an order to abandon usage of a name, and sometimes both. Background. 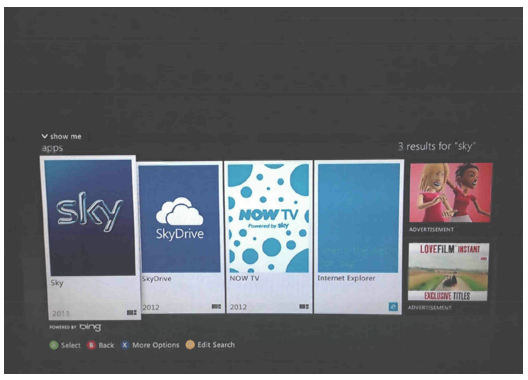 The case between Sky and Microsoft started back in June 2011 and specifically concerns “an action for passing off and for infringement of two registered Community trade marks (CTMs) and two UK registered trade marks (UKTMs) for the mark ‘SKY’ by which the Claimants [BSkyB] seek to prevent the Defendants [Microsoft] from using ‘SkyDrive’ as the name for their cloud storage service throughout the European Union.” The judgement published today comes after an eight-day trial in April of this year. BSkyB is one of the largest pay-TV service providers in Europe, and like many TV broadcasters it has leveraged this to grow its digital audience. Within that, Sky also provides mobile apps and an online streaming service that are — yes — cloud-based. It also provided its own online storage service between 2008 and 2011, Sky Store & Share. Microsoft, on its side, has put in a counterclaim trying to invalidate four Sky trademarks “on the grounds of descriptiveness for cloud storage services.” In other words, Microsoft believes that it’s not easy to confuse its cloud-based SkyDrive services with BSkyB’s pay-TV, mobile and online services. Reading through the case (warning: it’s long) you can see that there are a lot of nuances, and so there may still be some options for Microsoft to appeal or get other leeway. But regardless of that, Mrs Justice Asplin concluded today that the scope of BSkyB’s “SKY” registered trademarks, as well as its goodwill in the SKY brand, was such that Microsoft’s use of the “SkyDrive” mark was likely to cause confusion among consumers. She also decided that use by Microsoft of the “SkyDrive” brand was detrimental to the SKY mark which, in itself, amounted to trademark infringement. In a way, the folks at BSkyB probably feel like some kind of justice has been served. In 2010, BSkyB filed a case against Skype (coincidentally just around the time that Microsoft announced it would buy it) for that name infringing on the Sky mark. It doesn’t appear that the case went anywhere, though. We have reached out to BSkyB for its response and will update as we learn more.